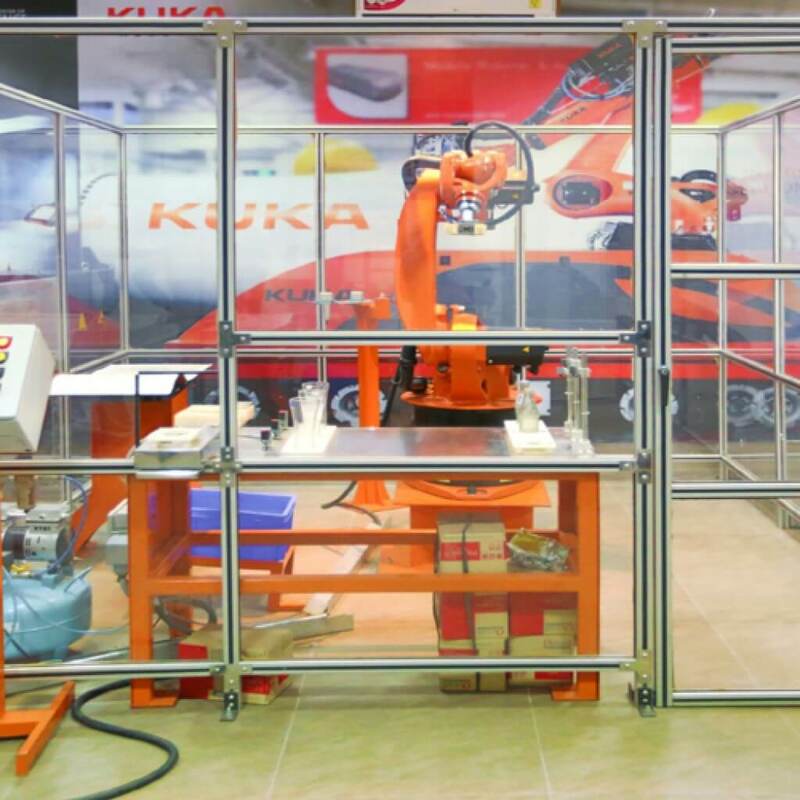 KUKA Robotics, Germany, is the largest manufacturer of Industrial robots in the world. India is rapidly adopting robotics in industrial production and KUKA’s key clientele in India include most of the major automobile and other engineering as well as non-engineering companies, such as TATA Motors, Volkswagon, BMW, Audi etc.Robotics is a high end technology stream witnessing rapid development and is being deployed extensively in Industrial production creating large employment potential for robotics trained and certified engineers. KUKA Robotics Pvt. Ltd is 100% subsidiary of KUKA Roboter GmbH, based in Augsburg, Germany. 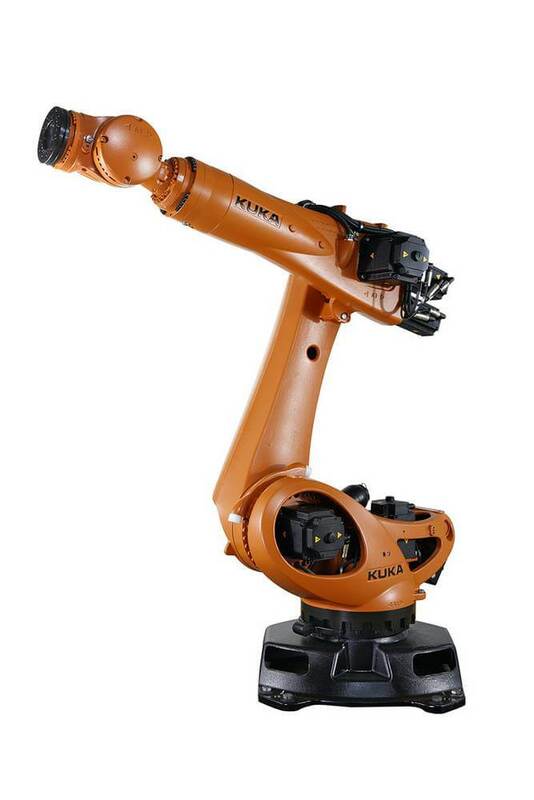 KUKA is the world leader in industrial robots technologies. KUKA Robotics (Germany) is part of the worldwide operating KUKA Robot Group. 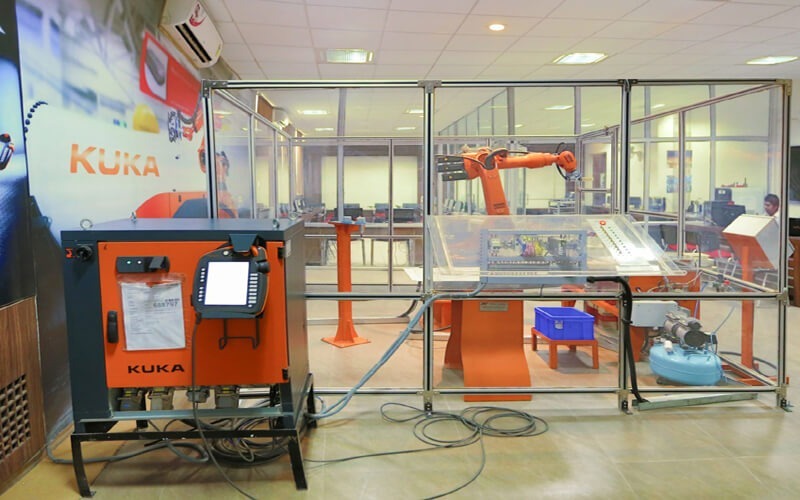 KUKA Robotics (Germany) Private Limited was incorporated in India in May 2006. 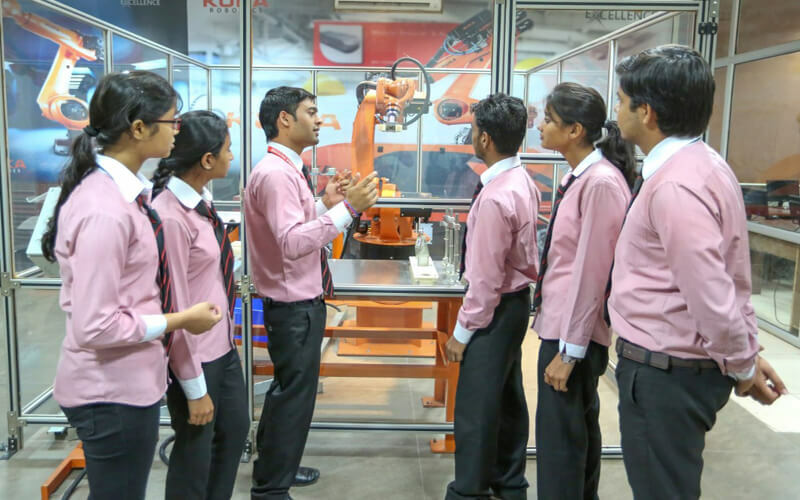 With Indian operations headquartered in Gurgaon, KUKA India has a state of the art Service and research and training centre in Pune. 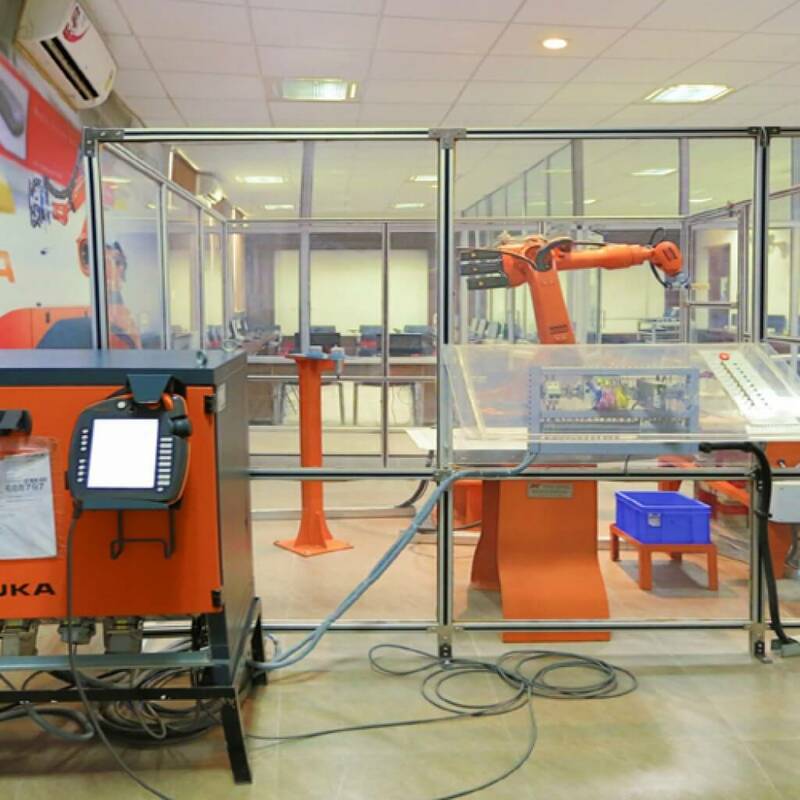 Kuka has established its 3rd Industrial Training centre in INDIA at the Ambalika Centre of Excellence,Lucknow with KUKA KR 16-2. 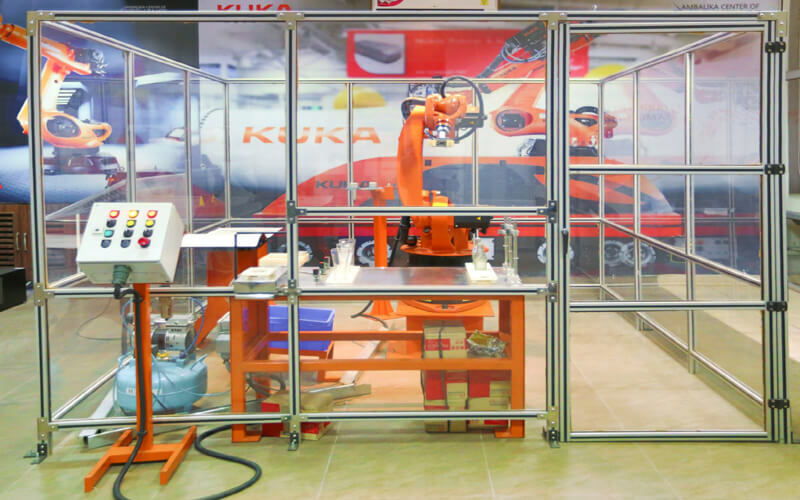 The robot at Ambalika is the most popular KUKA industrial robot used in training worldwide having a payload of 16 kg with 6 axis movement and a reach of over 1.6 meters. 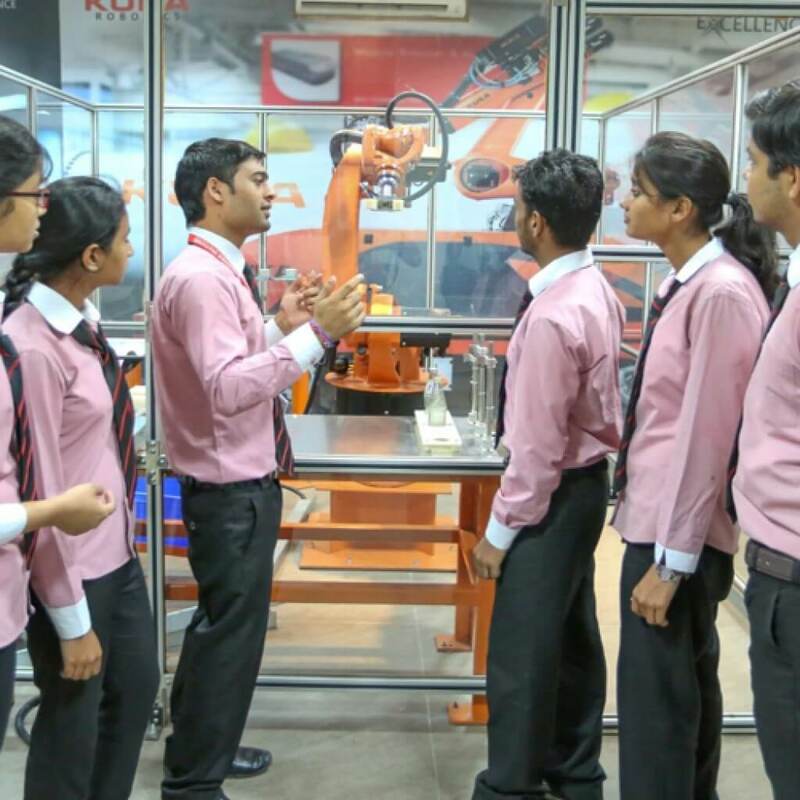 Classes are conducted in fully equipped audio visual classrooms and trainees get extensive hands-on practical experience on KUKA KR 16-2. AIMT-KUKA own license for KUKA.Sim Pro is a unique program for creating 3D layouts for systems with KUKA robots. Any number of layouts and concepts can be simulated and investigated with ease. Ideal for engineering and for system integrators. The Training in Designed two parts – Basic and Advance. The objective of Basic Robot Programming is to acquaint the trainees with basic concept of programming of the robot systems. This includes safety instructions for robots, Knowledge and usage of the coordinate systems, Methods of tool calibration and tool payload, basic concepts of robot programming, operation of robot system and Robot Simulation on SimPro software. Building on the Basic level training, Robot Programming is extended and covered in great detail and depth. The main emphasis of this training module is on the high level programming language KRL and on structuring and documentation of Robot Programs. Click on each image to see the bigger version.